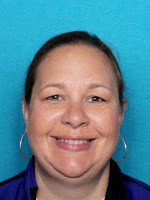 District Attorney Warren Montgomery announces that Emily L. Davis (43) of Ponchatoula pleaded guilty in Covington on Wednesday (September 26, 2018) to theft and identity theft in a scheme that bilked her former employer, Franco’s Athletic Club of more than $1.7 million. Davis, the club’s former finance director, was sentenced to ten years but all was suspended but one year and that year will be served under house arrest. That will allow Davis to work and make restitution payments. She paid $100,000 in restitution and will have to make monthly payments totaling $25,000 over the next three years. Franco’s owners agreed to the terms of the plea. Co-defendant Jennifer E. Thompson (47) of Mandeville, the club’s former human resources director, awaits trial.